There are memories which last throughout all weddings. The only things more memorable than the dresses are the invitations, cake and flowers. Each of those moments is memorable for a reason. 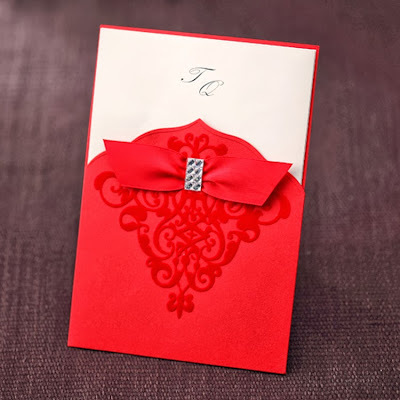 Invitations are the first look at a wedding's theme and color scheme. A guest has weeks to see the invitations. They sit on their fridge as a reminder of the special day. A red invitation stands out with a bright and bold statement. The color in itself is something that will imprint on the memories of the guests, but the time and care spent making it unique will also make it a keepsake. 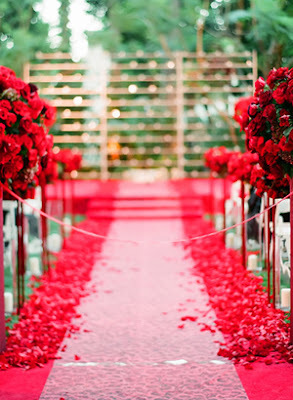 Red wedding flowers are a beautiful way of brightening up the reception hall and the ceremony. 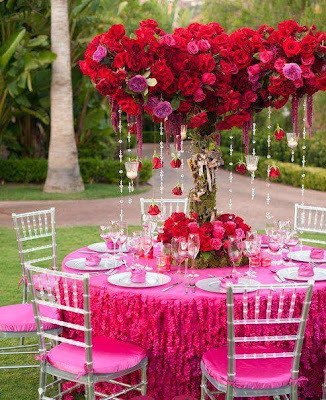 The vibrancy of red makes it a truly memorable centerpiece. The color isn't the only thing to keep in mind when choosing your flowers. Scent is just as important as color. 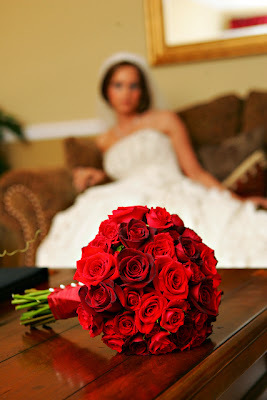 Red roses have a lovely scent that, when paired with other flowers, can leave a definite impression on the guests. Other beautiful flowers are Dahlia, a very exotic and sophisticated flower, and mums, flowers which are both fun and elegant at the same time. The moment with the cake is one of the most special times during the wedding. It's a gathering of all the guests around the bride and groom to mark the celebration of their love. 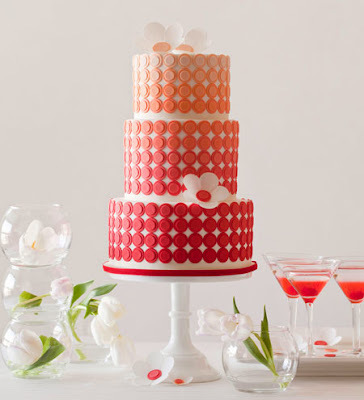 A red wedding cake is a centerpiece to be reckoned with on the desert table. Tiers of red cakes or cupcakes look amazing and taste fantastic. 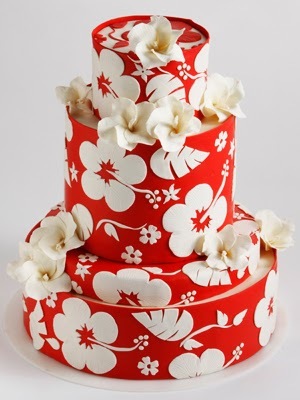 A great way to tie all the beautiful cakes, invitations and flowers is by using the same shades of red and secondary colors and by using the flowers as a theme throughout the decorations, invitations and cakes. If you choose roses, for example, don't only use them in the centerpieces, use them throughout the entire wedding. 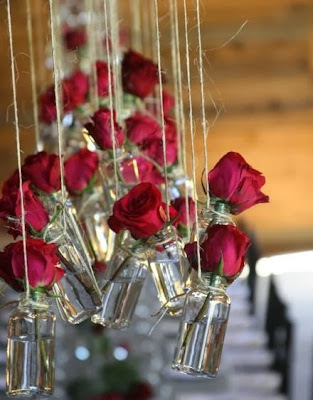 Pressed, dried, drawn or painted roses are a lovely way to decorate the invitations. 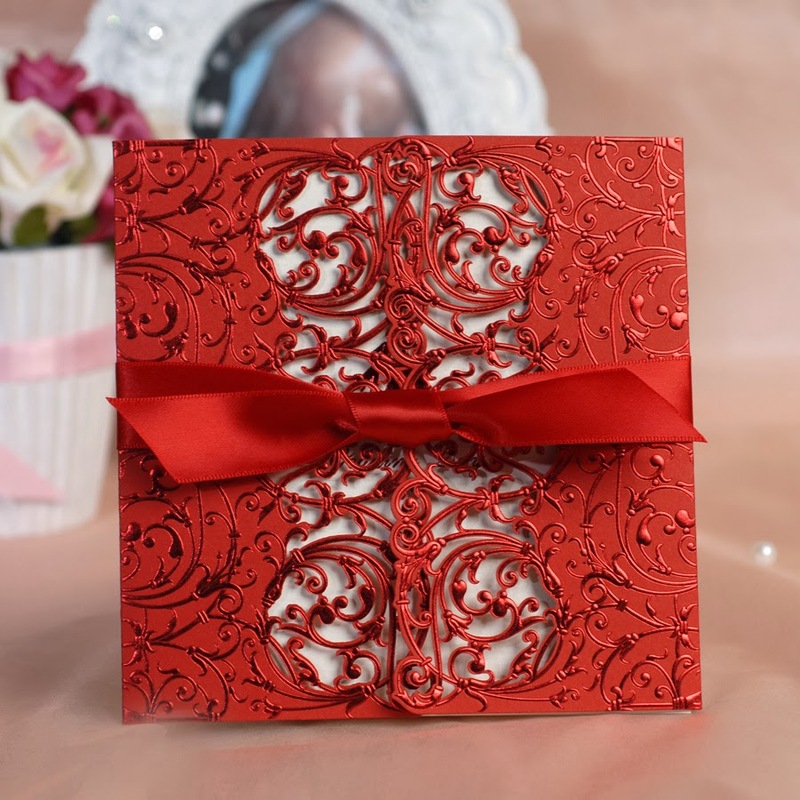 The rose theme can also be used as a watermark on the card paper. The same roses can be used on the cake decorations. They can be in sugar form or butter cream roses placed around the cake. Additionally, for a red fondant cake, there can be scroll work done in white, black or gold, depending on the secondary color. Remember roses aren't the only flowers that look great in red. 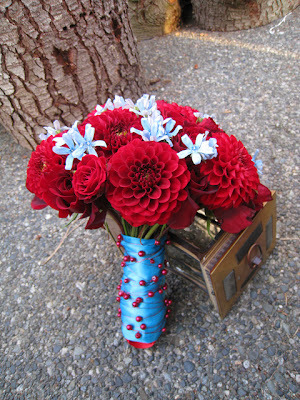 There are hundreds of flowers and all of them can be incorporated into the theme. Roses are just much easier to make into sugar decorations on the cake than other flowers.